Every year kids and teens look forward to summer vacation. The time away from school is a welcome break in routine and a time to socialize and bond with friends. 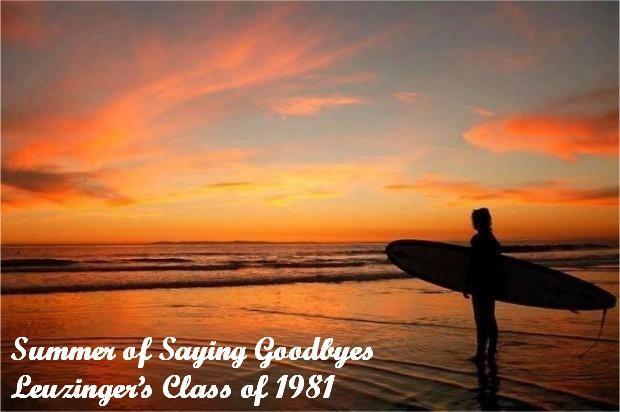 But for one group of teens the beginning of summer vacation marks the end of an era – the high school grads. For the senior class the last day of school before summer vacation is the last day of school as they know it and this means some pretty big changes. Gone are the days when friendships were packaged and presented in the school hallways. Now maintaining friendships, even the best of friendships, is going to take time and effort. The captive audience is gone and everybody is going in different directions; some people are off to college or university, some are out to travel and experience the world, and others are going to dive right in to the workforce. Whatever the path your friends are choosing after graduation, chances are very good that you won’t all walk the same one. In this life only three things matter; how well did you live, how well did you love and how well did you learn to let go? Life is about change and even difficult changes can be positive. Friends will come and go but all will teach you something about who you are and who you want to be. If you lose a friend in your life, reflect on what you have gained by having had that friend in your life at all. It can ease the pain of losing a friend to assign it value and make the memory of the friendship a part of who you are deep down inside. Summer will go by as quickly as growing up happens in a heartbeat. But the memories of your friendships will stay with you for the long haul.